The Fundamentalist Messianic Islamic Iran will expand into Russia through Central Asia sooner or later. This is not in Russia's long-term strategic interests. Iran has to be secularized, the sooner the better: with this perverse militant ideology growing the roots deeper, it might be increasingly more difficult to do this in the future. Presently, Iran, with its more assertive and aggressive stance on the world stage, and with the sponsoring of terrorism, overtly and/or covertly, might be viewed as one of the major threats to the Global Security and stability. (TEHRAN, Iran) — Rescue teams worked through the night to try and reach trapped firefighters and other victims after a commercial building collapsed in Iran’s capital and killed at least 30 firefighters. Scores of workers and dozens of trucks were searching the ruins Friday, a day after a historic high-rise building in the heart of Tehran caught fire and later collapsed. The building was home to more than 500 garment and clothing workshops, their offices and warehouses, and was full of chemical materials, authorities said. Thursday’s disaster stunned the city and firefighters and others openly wept on the streets, holding each other for support. Dozens of people lined up to donate blood. “The smoke is a sign of continuation of the fire under the rubble,” said Saeed Sharifizadegan, head of Tehran’s fire department. Workers were digging several tunnels from buildings next door to reach the basement of the collapsed building. Teams of rescue dogs were at the site, too. Meanwhile, reports said Behnam Mirzakhani, one of the hospitalized firemen, died from severe injuries in a Tehran hospital. A total of 84 people were injured with only five of those were hospitalized, said Pirhossein Kolivand, head of the country’s emergency department. Amir Mohammadi, a retired teacher who lives in a nearby neighborhood, said he couldn’t sleep the entire night out of worry. Ghasem Rahmani, 63, who owned a shop in the building, stood at Lalehzar junction, a nearby intersection. Authorities described the building as having a weak structure and it was built more than five decades ago. The fire was the worst in Tehran since a 2005 blaze at a historic mosque killed 59 worshipers and injured nearly 200 others. DAVOS, Switzerland Donald Trump's comments about NATO being "obsolete" reflect how the world has changed, but should not be interpreted as meaning that it needs to be consigned to history, a senior adviser to the U.S. president-elect said on Tuesday. President-elect Donald J. Trump in the lobby of Trump Tower in Manhattan on Monday. Credit Hilary Swift for The New York Times. WASHINGTON — In one way at least, President-elect Donald J. Trump has already surpassed all of his recent predecessors. CHICAGO—Imprisoned former House Speaker Dennis Hastert wants one of his sexual-abuse victims to return the $1.7 million in hush money the Illinois Republican paid him over several years, according to a court filing this week in a civil case. The New York Times reports that U.S. law enforcement and intelligence agencies are looking into intercepted communications as part of a probe into possible links between Moscow and advisors of President-elect Donald Trump. Ryan Brooks reports. In a fresh insult to victims of terrorism everywhere, outgoing President Barack Obama decided to commute the 70-year sentence of communist terror leader Oscar Lopez Rivera, whose terrorist group unleashed a wave of savage violence that included more than 120 bombings across the United States. The brutal Fidel Castro-backed Marxist-Leninist terror group, known as the “Armed Forces of National Liberation” (FALN), murdered six and injured dozens of Americans amid its campaign to enslave Puerto Rico under communist rule. Critics and victims of terror expressed outrage, with some suggesting the move was a green light by Obama for future communist terrorism against the United States. The positive aspects of Russian-US relations, during the term of US President Barack Obama, include nuclear weapons reduction treaty and elimination of chemical weapons in Syria, Russian Prime Minister Dmitry Medvedev said Thursday. 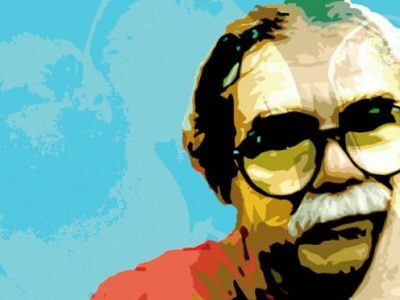 Oscar López Rivera. Imagen difundida ampliamente en medios sociales. La sentencia de Oscar López Rivera ha sido conmutada por el presidente estadounidense, Barack Obama. Es el prisionero político de Puerto Rico que ha estado preso por más tiempo. La noticia llegó primero por los medios sociales la tarde del 17 de enero, aunque el semanario Claridad, favorable a la independencia, anunció que una fuente confirmó que Obama estaba evaluando ponerlo en libertad. Entre los detalles que se han dado a conocer hasta ahora está el hecho de que la liberación de López Rivera no será inmediata. Su sentencia se extenderá hasta el 17 de mayo del 2017. La libertad se dará sin condiciones. López Rivera ha dicho que lo primero que hará en cuanto deje la prisión será visitar a su familia en Chicago, pero que planea instalarse en la ciudad costera de San Sebastián del Pepino, su ciudad natal en el noroeste de Puerto Rico. 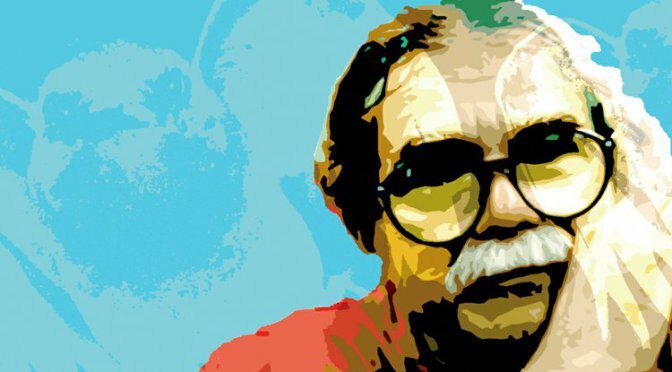 López Rivera fue condenado por “conspiración sediciosa” hace 35 años y siete meses debido a sus vínculos con las Fuerzas Armadas de Liberación Nacional, o FALN, un grupo que luchó por la independencia de Puerto Rico de Estados Unodos durante la década de los 70 y 80 a través de lucha armada. López Rivera siempre ha sostenido ser inocente de homicidio y no haber cometido actos violentos. Ciertamente, nunca ha habido evidencia que vincule a López Rivera con alguno de los actos de violencia cometidos por las FALN. Global Voices ha informado desde hace varios años sobre el movimiento que pedía la liberación de López Rivera. A medida que se tenga más información, Global Voices dará seguimiento a las noticias de último minuto. Estén al tanto para mayores detalles. Russian officials in Davos said they are not expecting Donald Trump to lift economic sanctions imposed on the country after it annexed Crimea from Ukraine. WASHINGTON (Reuters) - President-elect Donald Trump's national security transition has been more chaotic than others in recent memory, with important positions unfilled and many of his people less able, or willing, to engage on substance, U.S. officials said. Wayne Barrett, a New York City muckraker who burnished his credentials with unsparing reporting on Donald Trump, died Thursday. He was 71. On the 10th year anniversary of the murder of prominent Armenian-Turkish intellectual Hrant Dink, Turkey appears further from reconciling with its past. That is a lot of responsibility to put on the shoulders of an unflappable political survivor from Kenosha, Wis., who has never held a major government post before. He has instead accrued his power by courting wealthy donors on behalf of Republican candidates, tending to the gripes of the R.N.C.’s 168 committee members, closely monitoring his own Wikipedia page and mostly staying on the good side of the capricious Mr. Trump, his ambivalent patron. Not everyone thinks he is up to it. But Haley Barbour, the former Mississippi governor and former chairman of the R.N.C., said Mr. Priebus was the only kind of chief of staff, flexible and opportunistic, who could succeed in a Washington roiled by Mr. Trump and rived by partisan conflict. “There is no honeymoon, there’s not going to be any honeymoon, and the left has decided they’re going to oppose anything Trump does,” Mr. Barbour said. Mr. Priebus enters a West Wing loaded with palace intrigue and potential conflict. Mr. Trump, who favors a management style that pits top aides against one another so no subordinate gains too much authority, has divided power among no fewer than five top advisers: Mr. Priebus; Stephen K. Bannon, his chief strategist, and Kellyanne Conway, Mr. Trump’s counselor, both of whom were briefly mentioned for the chief’s job; Vice President-elect Mike Pence; and Mr. Trump’s son-in-law, Jared Kushner, who occupies a first-among-equals status. Towering above them all is Mr. Trump, who enters office weighed down by controversy over his relationship with Russia, the lowest approval rating of any incoming president in modern history and a propensity for picking spur-of-the-moment fights that Mr. Priebus and the communications operation he oversees will have to clean up. All of this adds up to one of the most daunting and uncertain situations any recent chief of staff has faced. “Reince has quite the challenge ahead of him,” said Roger Stone, a longtime Trump political adviser and frequent Priebus critic. The role of a chief of staff varies widely, depending on each president’s personality, management style and circumstance. President Obama cycled through four in eight years, starting with Rahm Emanuel, a volatile former Democratic congressman who hammered through his legislative program and is now mayor of Chicago. “Ultimately, it’s a chief’s job to create an orderly process that gives a president the full range of opposing viewpoints so that he can make a decision based on the best information available,” said Joshua B. Bolten, who served as George W. Bush’s chief of staff. But even Mr. Bolten conceded that nothing mattered if Mr. Priebus could not “develop a good working relationship” with his president. And Mr. Trump, who burned through three campaign managers in less than a year and routinely mocks his aides to their faces, is a hard boss to please, demanding not merely loyalty but, at times, subservience. The two men got off to a rocky start in 2015. As guardian of his party’s brand, Mr. Priebus called to deliver a stern 40-minute lecture after Mr. Trump railed against Mexican “rapists” at his kickoff rally in early 2015 and objected when Mr. Trump refused to honor a pledge to back the eventual Republican nominee a few months later. Each morning, dressed in a crisp dark suit, he prepares for the president-elect a detailed daily agenda and demands reports from staff members on the progress of confirmation prep sessions and communications efforts, a level of rigor that has reassured Mr. Trump his team is ready for the West Wing. Still, while Mr. Priebus assembled the political machinery that helped secure a Trump win, he has not fully cracked the circle of trust, and the president-elect is not always so glowing about the man he sometimes calls “Reincey.” He often jokes, in an affectionate but tart way, about the R.N.C. chairman’s long-term loyalty, and likes reminding the people around him that Mr. Priebus suggested that he consider dropping out after the release of the “Access Hollywood” tape of Mr. Trump’s crude remarks about women were made public in October. At a recent Trump Tower meeting with staff members, Mr. Trump praised his chief of staff as a hard worker — one of his highest accolades — before recalling a sensitive bit of history. “But you know, he wasn’t always there with me. He told me to drop out of the race, he told me I was going to bring the House and Senate down with me,” Mr. Trump said, as Mr. Priebus stood near him, absorbing the dig. With many former Bush administration aides still unwilling to work for a president they regard as unqualified, Mr. Priebus has staffed the new West Wing with an assortment of Republican veterans and some of his core staff at the R.N.C., including his former deputy, Katie Walsh. Mr. Priebus has had a spotty record on cabinet picks, pushing hard for the long-shot nomination of former Mayor Rudolph W. Giuliani of New York as secretary of state. But Mr. Priebus has had a relatively free hand to pick the operational staff that handles the day-to-day operations of every White House, while selling Mr. Trump on Sean Spicer, the pugnacious R.N.C. spokesman, for White house press secretary. Like many who will have a place in Mr. Trump’s White House, Mr. Priebus openly discussed life after a Trump loss during the campaign, musing about the possibility of returning to Wisconsin and picking up his law practice, according to one Republican he spoke to at the time. Unlike many other establishment Republicans, Mr. Priebus exerted maximum effort on Mr. Trump’s behalf, even if he was uncertain of the outcome. Mr. Priebus had tried to play an advisory role with Mitt Romney, the Republican presidential nominee in 2012, to no avail, aggravating some aides in the campaign’s Boston headquarters. He ultimately found a more receptive partner in Mr. Trump. Mr. Priebus was one of the few Republicans to take Mr. Trump seriously as a potential candidate in 2011, when the reality-TV star floated a potential campaign, and he continued to offer advice to Mr. Trump throughout the campaign. Eventually, the wary candidate came to trust the party chairman’s advice, and by last summer Mr. Priebus began telling people he wanted to be Mr. Trump’s chief of staff, on the off chance of a victory. And for all the pressures he faces, Mr. Priebus remains upbeat about his new job, if only because he never expected to have it. A day after the Bihar Police sparked speculation over Pakistan’s Inter-Services Intelligence (ISI) role in the November 20 Indore-Patna Express mishap in Kanpur, Railways officials said all facts known so far do not point towards any explosion on the tracks. A press statement issued by the Railways Ministry said, "Railway Minister Shri Suresh Prabhakar Prabhu has directed all security establishments in Railways to be extra vigilant and careful in view of the activities of the anti-national elements." "He has asked them to further ensure effective coordination with law & order enforcement agencies of the respective states," it said. The three suspected ISI agents, arrested by Bihar Police, were questioned by officials of RAW, NIA and Railway Police in connection with the Indore-Patna Express mishap that claimed 150 lives and other train accidents. Suresh Prabhu has appealed to citizens to come forward and give any information of suspicious activities to the nearest law-enforcing agencies. Bihar Police had on Wednesday arrested three persons for allegedly planting a bomb on railway tracks at Ghorasahan in East Champaran district in October 1 last year. The police claimed the trio had confessed to having worked for a Nepalese contact, Brajesh Giri, suspected to be connected to Pakistan's ISI to target the railways. They had revealed that they were paid Rs 3 lakh by Giri, who allegedly has connections with Shamsul Hoda of Dubai who had links with the ISI. A magician walks into a laboratory. It’s not the beginning of a joke. It’s the subject of a declassified 1969 Central Intelligence Agency memo, one of more than 930,000 searchable documents that the agency posted online on Tuesday. The memo about the magician was among the more unusual files in the trove of declassified reports, which include more than 12 million pages of dispatches and correspondence that document the history of the C.I.A. Or you could examine the agency’s actions and research during the Vietnam and Korean Wars. Maybe you would prefer to read through the files of Henry A. Kissinger, who was secretary of state under Richard M. Nixon and Gerald R. Ford, or a description of the Berlin Tunnel, a wiretapping effort to monitor the Soviet Union during the Cold War. You can look through intelligence reports on specific countries or events, find recipes for invisible ink or learn how to open sealed letters. “It gives insight into a lot of different elements of our history since the 1940s,” said Mike Best, a journalist and archivist who pushed for the online publication of the files. Technically, you could have gained access to the files before, but only if you drove to the National Archives building in College Park, Md., where there were four computers you could use to sift through the C.I.A. 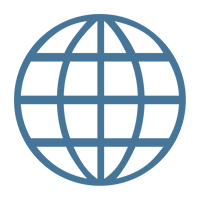 Records Search Tool, known as Crest. You couldn’t email or otherwise electronically transmit files to yourself, but you could print them out on the C.I.A.’s dime (as long as the paper and ink hadn’t run out). Mr. Best would often drive 90 minutes from southeast Pennsylvania to examine the documents. Nearby signs instruct users that their searches and printed files are being monitored, he said. “You’re under surveillance for doing this entirely legal thing,” he said. The publication of the files represents a potential motherlode of background material for researchers, journalists and curious hobbyists. While many such people have already combed through the material in Maryland, the online publication will allow for access among people who can’t drive there. But, to be clear, most of the files are pretty boring. The collection appears to be the result of regular bureaucratic collation: Someone sends something interesting to the agency (the magician, who someone claimed was a miracle-working healer), or someone writes an interesting academic paper (the spiritualist healers), and the result is files like these, summaries of work that the agency thought notable enough to file away. The Crest archive represents a major document dump, but the C.I.A. has published many other declassified files online. Its files are typically unclassified after 25 years. After journalists at MuckRock, a news site, filed Freedom of Information Act requests for access to the Crest database, the C.I.A. said in 2015 that it would take 28 years to publish. In 2015, the agency cut its estimate to six years, and said the documents would be delivered on 1,200 compact discs at the price of $108,000. Put off by what he perceived as stalling, Mr. Best crowdfunded $15,000 to print, scan and publish files himself. In October, the C.I.A. said it would post the files. Rescuers have removed three bodies from a hotel engulfed by an avalanche in central Italy as a desperate search for up to 35 other people continues. Heavy snow and disruption caused by multiple earthquakes have hindered rescue efforts in the rubble of the Rigopiano hotel, in the Abruzzo region. Rescuers say they have heard nothing in the rubble while sniffer dogs are reportedly unable to locate victims. Two people who were outside the hotel at the time of the avalanche survived. Four earthquakes above magnitude five rocked central Italy on Wednesday, with tremors continuing into the night. The quakes compounded problems resulting from snow and freezing weather, with power lines brought down and villages temporarily cut off. Rescue operations are under way across central Italy and European Commission President Jean-Claude Juncker has said the EU is ready to help. It appears the guests had gathered on the ground floor of the four-star spa hotel, close to the Gran Sasso mountain, to await evacuation following the earthquakes. The avalanche struck some time between 16:30 (15:30 GMT) and 17:40 on Wednesday, when the first known appeal for help was made. It partially brought down the roof and, according to some reports, shifted the building 10m (11 yards) off its foundations. A guest who was outside the building at the time raised the alarm with his phone. Giampiero Parete, whose wife and two children are missing, said he had gone to get something from his car: "I was covered by the snow but I managed to get out. The car was not submerged and I waited for the rescuers to arrive." A couple was quoted as telling rescuers in a message: "Help, we're dying of cold." Mr Parete, who was taken to hospital with a fellow survivor, continued to make phone calls but it reportedly took until 20:00 before his pleas were acted on by the authorities. A list of 23 names given by La Stampa newspaper suggests that most are Italians but they include a Swiss national and a Romanian. Three are children aged six, seven and nine, and the oldest person on the list is a man of 60. Seven of the missing are from the neighbouring region of Marche. A couple from Marche who are not recorded in La Stampa's list, Marco Vagnarelli and Paola Tomassini, were last heard from at 16:30 on Wednesday, when Marco contacted his brother Fulvio on WhatsApp, Ansa reports. The avalanche had still not started at that point. Marco had told his brother that their departure from the area was being delayed by the bad weather. Why is the rescue work so difficult? Video shows hotel interiors choked with walls of debris and snow. "The hotel is almost completely destroyed," Antonio Crocetta, a member of the Alpine rescue squad who was at the scene, told Reuters news agency by phone. "We've called out but we've heard no replies, no voices. We're digging and looking for people." The first rescuers only reached the hotel on skis at 04:30 on Thursday morning. A line of rescue vehicles snaked along an approach road as they waited for it to be cleared. Italian media say three bodies have been extracted while, according to an unconfirmed report, a fourth body has been found inside but not yet recovered. How widespread is the damage from the quakes? The tremors caused chaos across central Italy, compounding problems caused by heavy snow and freezing weather. Rescue services initially struggled to reach rural communities in regions like Marche. One man was killed by a falling roof in Marche and another person swept away by a landslide in Abruzzo. People have been evacuated from their homes in some areas. An earthquake rocked central Italy on 24 August, killing 298 people die. Another quake in October killed no-one, as most of the population centres had been evacuated. Analysis: Why so many quakes in Italy? The Apennines region saw three magnitude-6 tremors between August and October. A succession of quakes like this is often how the geology works. Then came October with a swathe of quakes that broke the rest of the Vetorre. But the stress, according to the seismologists, wasn't just sent north, it was loaded south as well - south of August's event. And it's in this zone that we have now seen a series of quakes in recent days. About a dozen magnitude fours and fives. Are you in the area or have you been affected by this incident? Share your experiences by emailing haveyoursay@bbc.co.uk. Владимир Путин и Дмитрий Медведев поздравили с 80-летием первого руководителя республики Татарстан Минтимера Шаймиева. Они поблагодарили его за совместную работу на высоком посту, а также за активную деятельность по изучению и сохранению российского и татарского культурно-исторического наследия. Many firefighters are feared dead after a landmark high-rise building in Iran's capital, Tehran, caught fire and collapsed, state media report. Two hundred had battled the blaze in the 17-storey Plasco building for several hours before it fell to the ground in a matter of seconds. More than 200 people were also reportedly injured in the incident. Completed in 1962, the building was once Tehran's tallest and contained a shopping centre and clothing workshops. The fire reportedly began around 08:00 (04:30 GMT) on Thursday, at a time when many of the shopkeepers were not inside. Initial photos showed flames and smoke pouring out of the top floors. Ten fire stations responded to the blaze and state television reported that dozens of firefighters were inside the building when the north wall collapsed, swiftly bringing down the whole structure. "It was like a horror movie," a local grocery shop owner, who was forced to evacuate the area by police, told the Reuters news agency. "The building collapsed in front of me." Emergency Medical Services chief Pir-Hossein Kolivand told the official Irna news agency that many firefighters were feared dead but did not give an exact figure. The state-run English Press TV channel cited an official as saying that between 50 to 100 people were believed to have been trapped under the rubble. Earlier, fire department spokesman Jalal Maleki said the building had lacked fire extinguishers. "We had repeatedly warned the building managers about the lack of safety of the building," he was quoted as saying by the AFP news agency. "Even in the stairwells, a lot of clothing is stored and this is against safety standards. The managers didn't pay attention to the warnings," he added. The Tasnim news agency reported that the building "had caught fire in the past". Police have cordoned off Jomhoori avenue, which passes by the building, as well as the nearby British and Turkish embassies, according to Irna. Admittedly the France-initiated event, which neither Israel nor the Palestinian Authority attended, did not change the international community’s understanding of the Israeli-Palestinian conflict. Nor did the gathering take any concrete steps to end the dispute. But it was neither insignificant nor useless from Israel’s point of view. The summit saw Great Britain break ranks with the countries that did attend in a move that pleased Israel and perhaps the incoming administration of President-elect Donald Trump. Instead of demonstrating international consensus as intended by France under President Francois Hollande, the summit turned into a showdown between France and the United Kingdom over Israel. In an unprecedented manner, the rift exposed disagreements within a brittle European Union that is bracing for potentially turbulent relations with the United States under Trump. The first sign of dissent happened before the summit even began, when the United Kingdom dispatched only junior diplomats. By contrast, Hollande attended, as did 36 foreign ministers, including the US Secretary of State, John Kerry. It was a stunning about-face that even caught longtime observers of Anglo-Israeli relations by surprise. “I was gobsmacked,” Jonathan Hoffman, a former vice chair of Britain’s Zionist Federation, told JTA on Monday. “It was a watershed moment for UK-Israel relations and a huge change from anything I had seen before,” he said, adding that the United Kingdom typically sides with its allies on policies toward the Jewish state. termed it — of the Paris peace summit pleased Israeli diplomats, who openly dismissed the event as doomed to fail because it did not address the Palestinian Authority’s refusal to negotiate without preconditions — in this case, a public commitment by Israel to halt construction in eastern Jerusalem and the West Bank. In previous statements, Israeli officials described the summit as “laughable” in light of Western inaction on the humanitarian disaster in Syria. Trump has called for the United Kingdom to veto any further action on Israel at the United Nations. A midlevel British diplomat, who spoke to JTA on Monday under condition of anonymity because he is not allowed to brief journalists on this matter, said his country will not support any further attempts in the near future to pass another resolution on Israel. So did the United Kingdom’s decades-long policy on Israel radically change sometime between Dec. 23 and Jan. 15? Unlikely, according to Yigal Palmor, a former top spokesman for the Israeli Foreign Ministry who currently works in a similar capacity for The Jewish Agency. The British move in Paris, he told JTA, is the result of a mix of factors, including a “desire to assert independence from the European Union” — which the British government under Prime Minister Theresa May is committed to leaving as per the result of a June referendum over the issue. May replaced David Cameron as prime minister last year as a result of the Brexit referendum. Hoffman, meanwhile, said the apparent conflict between the British support for the UN resolution and its opposition to the Paris summit declaration could stem from power struggles between May and the country’s Foreign Office, which does not share her relatively pro-Israel politics. Whereas Kerry avidly supported the summit, members of Trump’s transition team signaled their disapproval to French officials, according to The Guardian. The newspaper suggested that May ordered the Paris snub to align her policy with that of Trump. Hoffman also attributed the apparent British about-face primarily to a Trump intervention. “It’s such a dramatic departure from what we have seen in the past that a Trump intervention is the only thing that makes sense,” he said. Ever since Obama spoke out last year in favor of Britain remaining in the European Union, Anglo-American relations have become strained. Johnson, a former London mayor who became foreign minister following the Brexit vote, accused Obama of meddling in British internal affairs and of harboring anti-British sentiment connected to the president’s Kenyan roots. The Paris summit was not the first time that Israeli diplomacy benefited from those recent tensions. On Dec. 29, a spokesman for May openly criticized Kerry’s Dec. 28 speech defending the US abstention on the Security Council’s anti-settlements resolution. The spokesman chided Kerry for “focusing on only one issue” of “construction of settlements,” and for saying that the Netanyahu government is the “most right-wing” in Israel’s history. “We do not believe that it is appropriate to attack the composition of the democratically elected government of an ally,” May’s office said in its unusual criticism of the Kerry speech. The cracks in the positions of Israel’s allies offer the Netanyahu government “some relief from international pressure” over some of the Jewish state’s policies, Palmor observed.